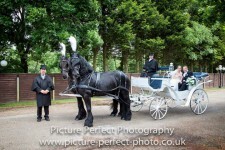 Reins of Elegance is a fully insured and licenced family run business which provides horse drawn carriages for any special occasion. 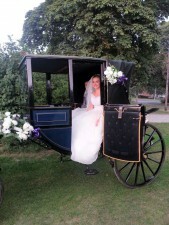 We take pleasure in providing the finest carriages for your special occasion. Whether you are planning a wedding, prom, anniversary or just a pleasure drive in the countryside. We pride ourselves on high standards whilst still offering value for money. 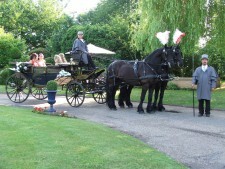 The company was first established in 2002 by owners Sheree Pettinger and Matthew Dodge, the most experienced carriage driver and groom to be found anywhere in Lincolnshire. Currently, the business is run by the whole family. We are passionate about what we do and have enthusiasm for all the events we do. We are happy to cater for all personalities and preferences. Between us, we have worked with horses in a variety of disciplines such as show jumping, hunting, cross country, private carriage driving, shows and pleasure carriage driving. Our horses are used in all disciplines, often competing at shows and travelling all around the country to participate in amble rides. 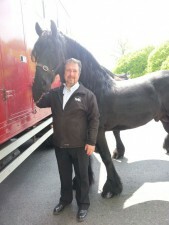 Some of our horses are even famous! starring in films such as Nanny McPhee and Gladiator! We are located in the picturesque Isle of Axholme, in the small hamlet of South Ewsters which it situated in between the villages of Owston Ferry and West Butterwick. The premises is positioned on the river bank of the tidal River Trent. If you wish to come and see us then we are easily accessible, you can find us just off junction 2 of the M180, or just six miles south of the A18 or we are approximately 12 miles from Gainsbourgh. 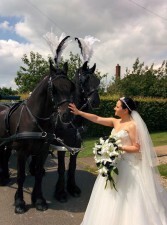 At Reins of Elegance we use our stunning Black Friesian horses for your special occasion. Customers have their choice of either one horse, or a pair of horses, to pull the carriage. 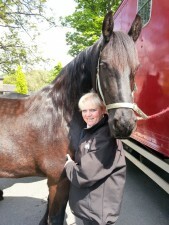 Information on our horses can be seen on the horses link on this website, where you can see each horse and their backgrounds. There is also the option not only to have the horse drawn carriage, but to add additional outriders riding either in front of, or behind on the day. An example of this can be seen in the picture or in our gallery. This makes the journey even more spectacular. Customers can choose from any of our four beautiful carriages, all designed with diverse aspects and colours to offer you a perfect match. For more information on these, please see our carriages page. Everything we provide is designed to ensure the success of your important event. Nothing is too much effort as every carriage ride is unique and bespoke for you. 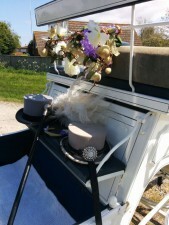 All carriages arrive beautifully decorated for your day, the carriages dressed with flowers and ribbons to match the occasion and the horse(s) in matching plumes and mane assessories . We will even promise to match your exact shade of preference. With our wide selection and bespoke service, there is something at Reins of Elegance for everyone, of all backgrounds and budgets. Please look around our website, follow us on instagram @Reins_of_Elegance and find us on facebook. If there are any questions or you would like a free, no obliogation quote please get in touch. We can also arrange for you to visit us for a tour, a chance to discuss your plans, meet our team and horses, view our carriages.